Can Cryptocurrency replace and become an improved form of gold? The Bitcoin acceptance is growing day by day along with its usage. As per a recent report, it was revealed that payments worth over $3.2 trillion via Bitcoin was made on the public blockchain network in 2018. Such a high volume of the leading cryptocurrency has given evidence of its efficiency associated with international payment process and have also made it as a strong alternative to existing settlement systems. Just like Gold, Bitcoin can be stored as a value and can be used as a mode of exchange and hence it is Frequently equated with Gold. 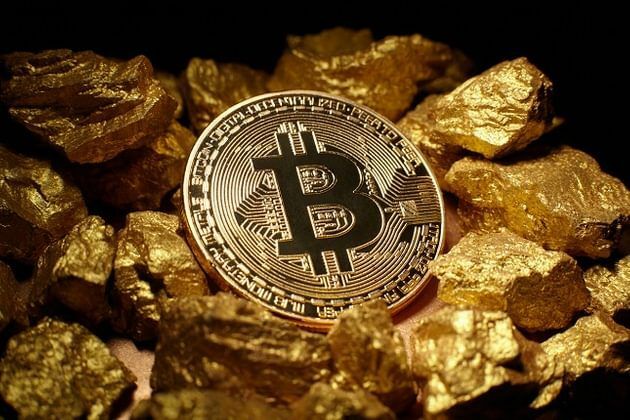 Further, the performance of both Bitcoin and Gold is not based on the global financial market and normally are not interconnected with the customary investment mediums. However, Bitcoin may hold an upper hand to Gold due to its capability to be used as a medium of exchange for cross border payments which is quicker and cost-effective. For example, last year Binance, which is the world largest cryptocurrency exchange, sent around $600 million for a charge of just $7, and in the process sending about 107,000 Bitcoin in just an hour. If we consider the same amount of transaction to be processed via gold or any other traditional financial services, it would involve various middlemen and regulators, which ultimately complicates the entire process and ends up taking a long duration of time for processing the paperwork and compliance matters. This advantage of a higher efficiency along with a lower cost for processing large transactions and foreign payments has made Bitcoin one of the most sought out mode of transaction and thereby reaching a volume of $3.2 trillion in the last year, that reflects a growth of 2.9 percent from the previous year. Further, the above mentioned $3.2 trillion transaction volume excludes the over-the-counter (OTC) volume, which alone would be voluminous than that of the exchange market. Though his view, that the processing time required by cryptocurrencies in completing a transaction is too long when compared to the age-old financial services, is not correct. For instance, the minimum period required for processing an international wire transfer via the SWIFT network is around three to five business days whereas the same transaction can be processed within an hour by using Bitcoin or any other crypto assets. The past Swift CEO Gottfried Leibbrandt, during the time of his resignation, revealed that the SWIFT network still works on an age-old system which was configured four decades ago and consists of several weakness and inefficiencies while dealing with the settlement of payment process. BITCOIN Price Prediction 2018: Can Cryptocurrency hit $50,000 this Year?